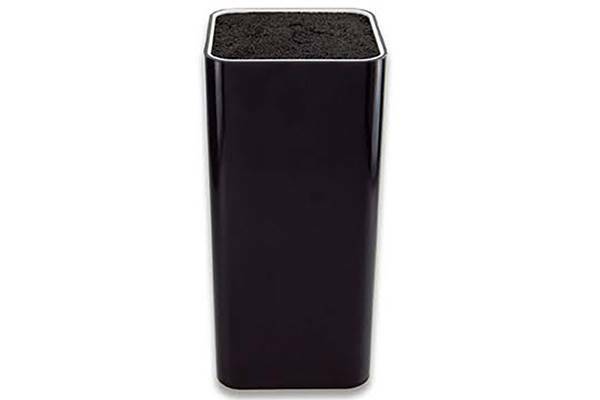 This shiny carbon black knife block with little plastic picks is empty. It can hold all sorts of blades whether they are made of steel or ceramic. Handy and elegant, it is an attractive way to display and easily store your kitchen utensils. This carbon black block knife is made of a very shock resistant material: ABS (Acrylonitrile Butadiene Styrene). ABS has a particularity, it can be coloured in a very broad spectrum of colours. The design possibilities are numerous. 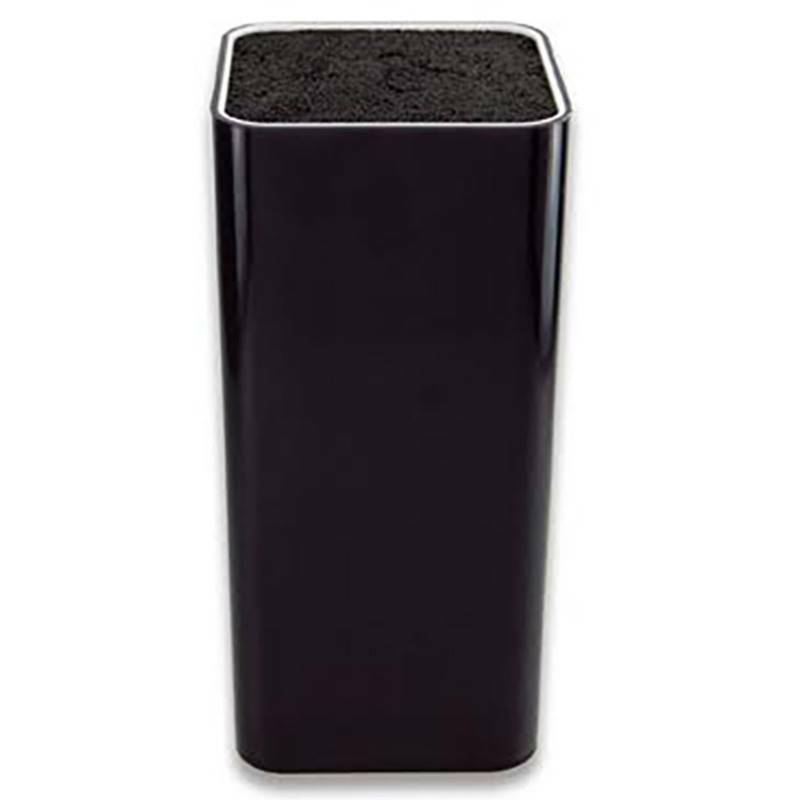 In black colour, this knife block will easily enhance your plain and modern kitchen decor.